Richard Hall invited 500 people to the party and authorities deemed the location was hazardous to those attending. Just in time for Halloween a Long Island man invited 500 of his closest friends to a party in an obscure location. The little get together took place in an abandoned warehouse which authorities deemed unsafe for the party-goers attending. What Richard Hall, 47, figured would be a good time ended in his arrest on Friday night. Police are saying Hall threw a party with way too many people in a place where no one should have been. Officers arrived on the scene of 1026 New York Avenue in Huntington Station at around 10:30 p.m. They came after someone complained about the noise the wild party was making. Fire Marshals weren’t too far behind the Suffolk County police officers. The party was deemed a hazard when authorities counted a total of 560 people. The mass get together was crowded beyond the building’s maximum capacity. There were no fire alarms, sprinklers, or proper exits present in case a fire did occur. Many of the windows were also boarded up. The 47-year-old Hall is the alleged organizer of the Huntington Station party. 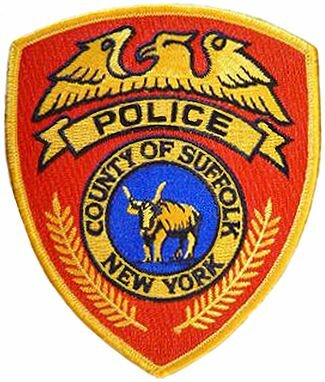 He was held overnight at the Suffolk County Second Precinct police station and is set to appear at the Suffolk County First District Court in Central Islip on Saturday. He was charged with second-degree criminal nuisance. For those looking for a more legal source of Halloween fun let LongIsland.com be the place to go to when looking for the hottest spots this holiday. Subject: LongIsland.com - Your Name sent you Article details of "Long Island Man Arrested for Throwing Wild Party in an Abandoned Warehouse"